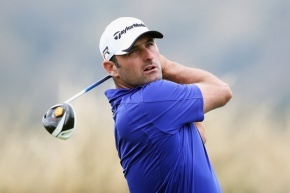 The coveted expertise of this country’s top golfer, Michael Hendry, will be on offer to those taking part in the inaugural Otago Polytechnic Education Open in Dunedin next week. The 30 teams of four registered to play in the Open’s Ambrose Tournament at Chisholm Park Golf Club on Friday 21 February, will enjoy a golfing clinic with the reigning New Zealand Open champion. Leading New Zealand coaches Guy Wilson and Craig Dixon will also run free coaching clinics for community youth at the Golf Club on 21 and 22 February. There are still spaces available in the clinics for under-16s. Any young golfing enthusiasts who wish to take part should email tara.hendry@op.ac.nz to register. The Education Open benefits the Otago Polytechnic Education Foundation, established to help progress the Polytechnic’s goal of becoming world-recognised for student success through career-focused education. ensures our students leave us work-ready and well prepared to meet the demands of their chosen careers. Michael Hendry admires the Polytechnic’s goal and was keen to lend his support to the Education Open. “My entire focus in golf is achieving excellence on the world stage, so I appreciate that Otago Polytechnic shares this vision for itself and its students,” he explains. Michael is also offering something of a lifeline to any teams dissatisfied with their handicap on the day. He will be stationed at one of the course’s holes, where for the cost of a donation to the Foundation, Michael will play a competitor’s shot for them.